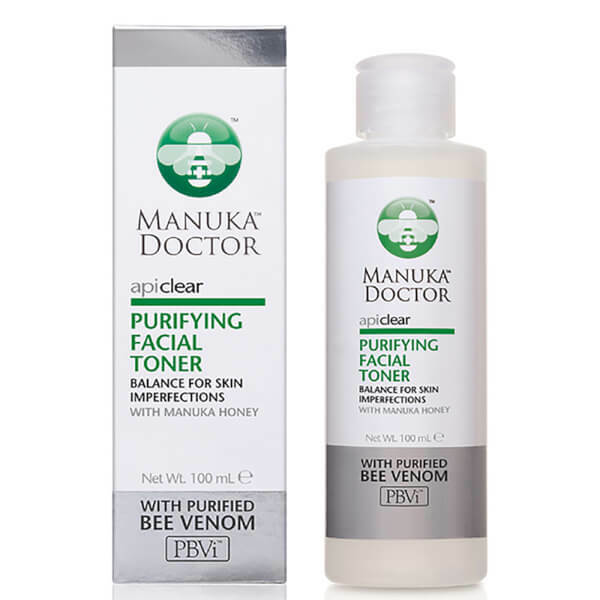 Treat skin to Manuka Doctor ApiClear Purifying Facial Toner, a deep cleansing formula that reduces oil and impurities for refreshed, clearer skin. Infused with the natural active ingredients Purified Bee Venom, manuka honey and royal jelly, popular due to their anti-bacterial, anti-inflammatory and cell regenerating properties, whilst also thoroughly moisturising skin. The toner also features tea tree, an essential oil renowned to help zap blemishes for a visibly clearer complexion.